3 Mistakes When Selling a House | The Shenbaum Group, Inc. Selling your house can be very intimidating. You may be getting ready to relocate or a loved one may just have passed away. You have enough on your mind, as it is. So, of course, tt’s easy to get distracted and overwhelmed by all the details. 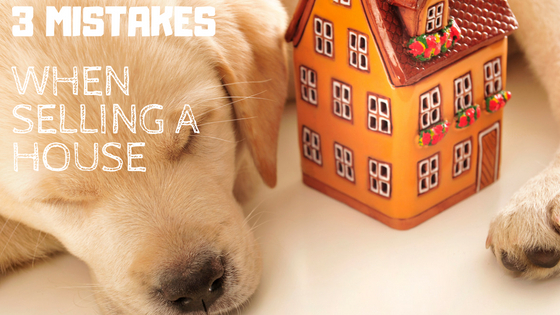 Here are a few common mistakes sellers make as they go through this process. Being Emotionally Involved – yes, it’s your home, and there is no doubt many good memories are there, making it difficult to completely separate yourself from this place you and your family have called home. You may have brought your babies home to this house, enjoyed holidays, and gone through tough times there. But when it comes time to sell, it’s best to start thinking of it as a commodity rather than a personal possession. Pricing Unrealistically – unless there’s a robust housing bubble, homes will not bring in more than their comps are worth. And if you’re selling a house for sale by owner, buyers will usually expect a discounted price because they know very well that you’re not paying a seller’s agent commission. Trying to Hide Problems– covering up major issues like termite damage or a leaky roof is not just unethical, it’s illegal in most cases. The buyer’s inspector will find any potential issues anyway, so be prepared to compromise on price. Even small things like a leaky faucet may cause buyers to shy away, wondering if there are larger unaddressed issues. Selling a house can be stressful, so it’s important to take basic steps to help the whole transaction go more smoothly. You can take the hard way or the easy way, and most likely, you will still end up in the same place. It just depends how hard you want to make it on yourself during the process.